Description:George Howson & Sons were manufacturers of sanitary ware at the Eastwood Works in Hanley. The company started in the 1860s and was finally sold to Armitage Shanks in 1966. 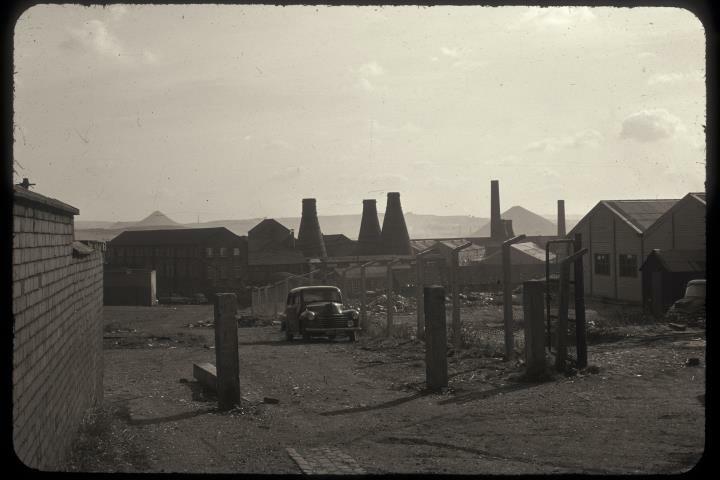 The photograph shows the bottle ovens on the site viewed from Regent Road. The area has been redeveloped for housing. 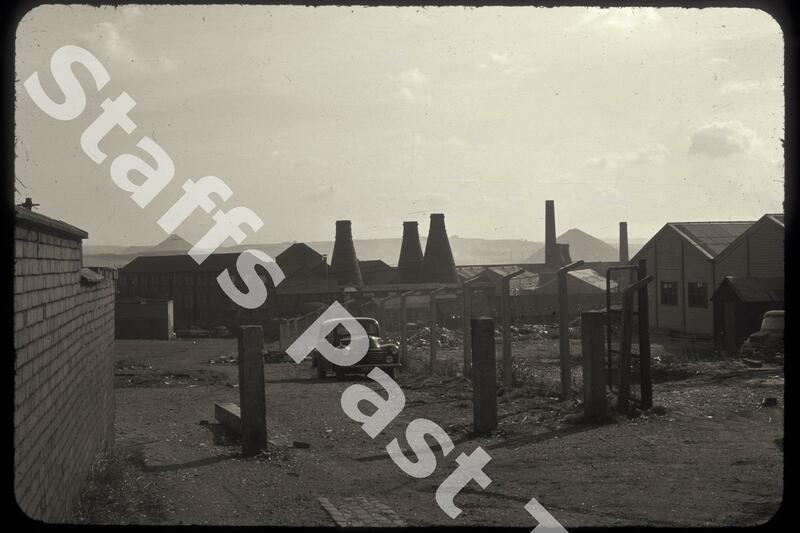 The photograph is looking south and in the background are the waste tips of Berryhill and Mossfield Collieries.